Wynkoop, Funkwerks, TRVE, Odell, Twisted Pine, Prost, Avery – 7 of Denver’s premier craft breweries. 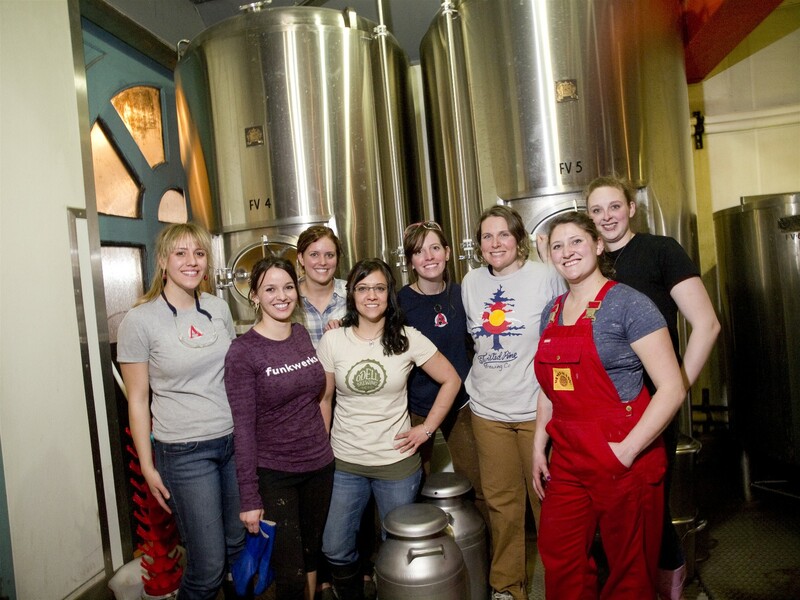 Each one has a few female brewers, and a lovely lady from each has come together to brew Denver Beer Week’s official beer. This Belgian pale ale has yet to be named, but will be around 4-5% ABV and features ingredients from each brewery as well as some supplemental ingredients from Brewer’s Supply Group. Bess Dougherty of Wynkoop organized the group which includes Natalie Lesko of Funkwerks, Sydney Skilken from Denver’s TRVE Brewing, Linsey Cornish of Odell Brewing, Reva Golden from Twisted Pine, Ashleigh Carter of Prost Brewing, and Melissa Antone and Sara Ferber from Avery Brewing. This brew will be the official beer of Denver Beer Week. 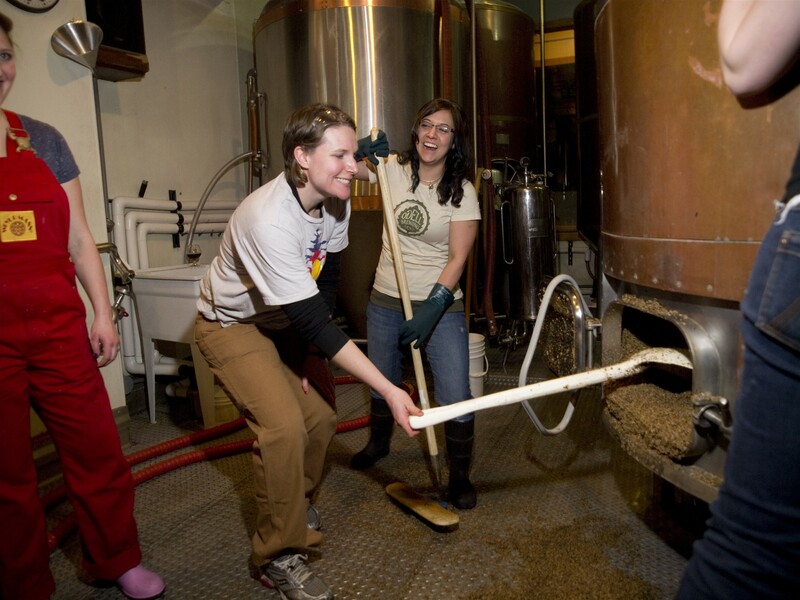 Cheers to more badass women in beer! (Boulder, CO) – Through heat haze and beads of sweat, fans of Twisted Pine Brewing Company can see the oasis close at hand. Amidst recent days of record-breaking temperatures, the brewers are preparing to offer two new beers to help cool off the perspiring populace. Saturday, July 7th will bring the introduction of Hoppy Girl, the seventh release in Twisted Pine’s Artisan Ale Project. The new brew is an American-style double India Pale Ale double dry-hopped with loads of Cascade hops as well as Hibiscus, Jasmine and Rose buds. Hoppy Girl is subtly sweet, sensationally bitter and stealthily strong at 8.5% ABV with 70 IBU. Local artist Kate Medlin provided the piece featured on the label, a black and white photograph titled ‘Hush’. Kate will be on hand throughout the afternoon on Saturday displaying her work and signing bottles for collectors. The release party/art show will begin at noon and go until 9pm. Hoppy Girl will be available in wax-dipped 750ml bottles and on tap at the Twisted ale house and other select locations throughout Colorado. The following Saturday, July 14th, is Twisted Pine’s 17thanniversary celebration. The brewery will release their newest birthday beer, Red Rye-der, to thirsty party-goers in honor of another year of exponential growth and ever-expanding creativity in brewing. 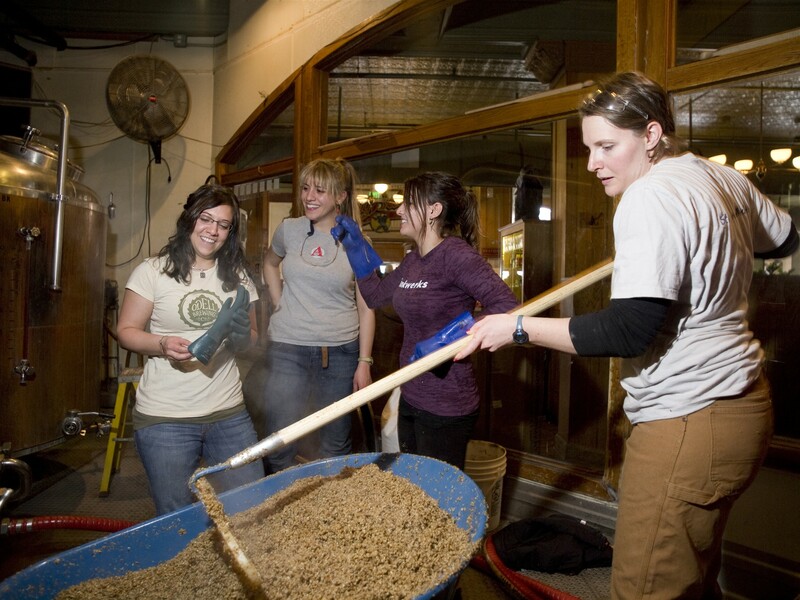 The brewers used a variety of malted grains, including copious amounts of MÃ¼nchen and rye malts, to craft a solid foundation for the beer, and then tossed in flavorful American hops by the bucketload. The result is a delectable, dry-hopped red ale with sophisticated balance and an extra level of complexity added by the rye. At 6.1% ABV and 60 IBU, the 17th anniversary ale makes for a perfect, full-flavored heat quencher. Red Rye-der will be available in draft form and 22oz bottles throughout Twisted Pine’s distribution network. Based in Boulder, Colorado Twisted Pine Brewing Company has been handcrafting beer since 1995. They are the brewers of such favorites as “Hoppy Boy IPA,” “Raspberry Wheat Ale” and “Billy’s Chilies.” The Ale House is a very popular local hangout and boasts 17 taps, 5 rotating. Twisted Pine is active with local charitable organizations and a strong believer in sustainable business practices. You can find more information atwww.twistedpinebrewing.com.